Obama's re-election chances shot up on Intrade after the Fed's QE3 announcement. 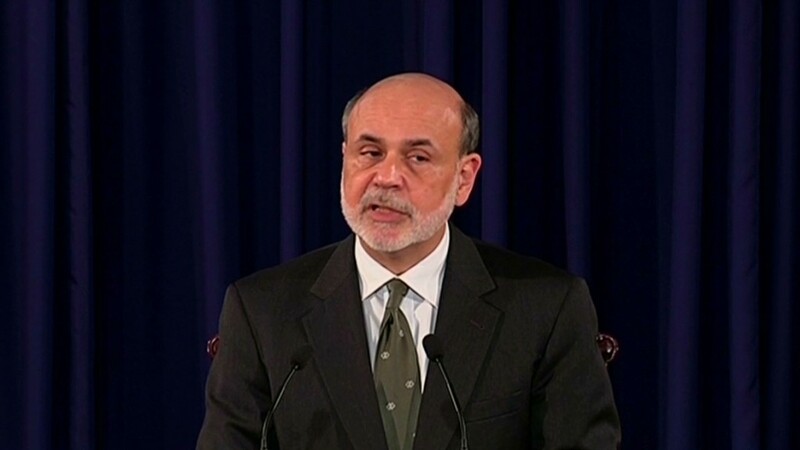 Did Ben Bernanke and friends boost President Obama's re-election chances? Intrade investors who bet on the outcome of the presidential race seem to think so. The online futures market allows investors to wager on any number of future events, from the presidential election to whether Wikileaks founder Julian Assange will be arrested. In the 90 minutes after the Fed announced a new round of economic stimulus on Thursday, the odds of an Obama victory increased to 65% from 63.5%. 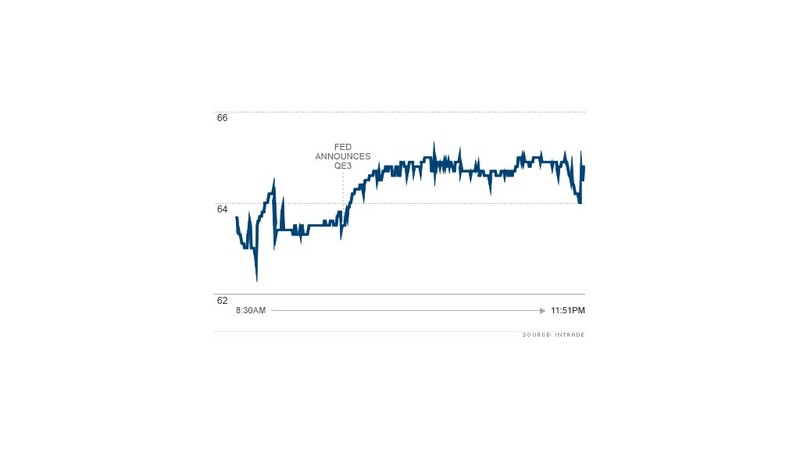 It was a relatively big bump, and gave Obama the best odds for re-election on the site since early May 2011, shortly after Osama bin Laden was killed. The mission, which was ordered by the president, raised his odds to 69%. Intrade's predictions on Obama's election chances closely mirror the S&P 500 stock index. Thursday, after the Fed decision, U.S. stocks closed at a nearly five-year high. Dales said he believes one of the reasons for the long-term linkage between the president's re-election chances and the S&P is that an improving economy lifts both stocks and people's view of the incumbent. But a sudden move like that on Thursday is due to expectations about the markets' direction. "It does make sense that if the stock market is doing better, Obama's chances are better," he said.